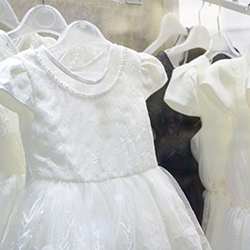 Custom children's clothing has always held a place of esteem in the garment industry and appears to be increasing market share faster than any other clothing sector, with most major department and specialty stores expanding their children's areas for spring 2016. Wise Business Plans is happy to announce it is now assisting entrepreneurial children's and infant's clothing producers meet profit expectations and future earnings goals by providing newly expanded social media marketing services and products alongside its professional, affordable business plans. Wise Business Plans saves clothing professionals money and time by consulting with clients every step of the way, in order to meet their unique business needs. "Our children are our most important treasure in life, and we want them to be well dressed, both for comfort and to reflect that we value and care for them." said Joseph Ferriolo, Director at Wise Business Plans. "At Wise, we don't believe in one size fits all, and we strive to show our support for the people who design and manufacture quality clothing for children by presenting them with products and services that add value and increase their market share." Ferriolo said Wise clients do not have to worry about the complexities of becoming an expert business plan writer, graphics designer or, now, a social media marketer, because the Wise team of experts takes each entrepreneur's ideas and goals and puts them into tangible formats. Expanded social marketing efforts for clothing makers include completely customized social media graphics packages for a variety of platforms and careful marketing strategy consultation as part of their individualized planning process. "Children's clothing can be saved and handed down from generation to generation when purchased with an eye toward lasting quality and design, saving parents money in the long run. Wise Business Plans saves clothing professionals money, too, by consulting with clients every step of the way, in order to meet their unique business needs."